The Moon Spinners– 1964 Starring: Halley Mills and Peter McEnery. Off the coast of Crete lays a treasure of jewels at the bottom of the sea hidden by Stratos (Eli Wallach) when English tourist Niki (Halley Mills) traveling with her aunt meet Mark (Peter McEnery) this adventure, romance, and just fun movie is great! Indiana Jones and the Kingdom of the Crystal Skull– 2008 Starring: Harrison Ford and Shia LaBeouf. This whip cracking adventure returns with Harrison Ford is still going strong. This strange, semi-twisted Russian/Alien invasion goes great for the time period set (1950’s). Grave robbers, protectors, and Alien ships that travel between dimensions are all good and fun until an atom bomb blows up in someone’s face. This movie diffidently has its “cringe in disgust moments” but all in all a fun movie. 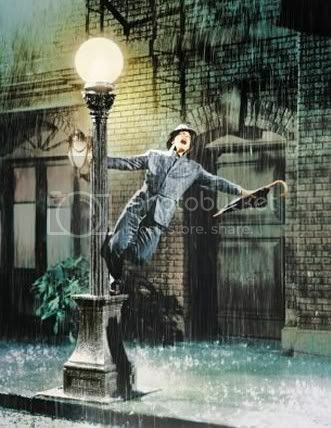 Singin’ in the Rain-1952 Starring: Gene Kelly, Donald O’Connor, and Debbie Reynolds. This musical love story features an actor adored by hundreds in the non-talking part of movie history. When all the studios convert to talkies is newest movie preview is a flop his best friend and comic relief Cosmo Brown (Donald O’Connor) and love interest Cathy Selden (Debbie Reynolds) cheer him up and turn his sour luck into movie magic. The dance scenes, the choreography, the music and the acting come together to make one of the greatest movies of all time! Nim’s Island-2008 Starring: Abigail Breslin, Jodie Foster, and Gerard Butler. Based on the book by Wendy Orr. This amazing and extremely hilariously fun movie is set with a young girl Nim (Abigail) living alone with only her Dad on a completely unknown island. He’s a scientist and goes out to study Plankton for 2 days. Then a storm hits and mutilates his boat. He doesn’t come home for almost a week. Meanwhile when Nim is still on the island a writer named Alex Rover start to correspond via e-mail. Nim is all alone except for her sea lion Selkie and iguana Fred. This charming endearing and funny movie is wonderful! 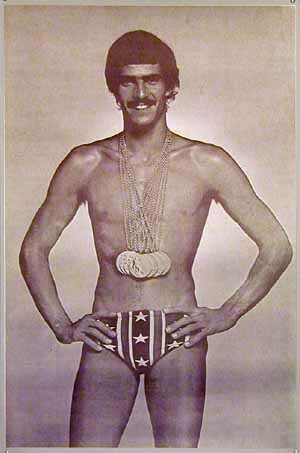 Mark spitz held the world record for most gold medals in a single olympic games for 36 years laying unsurpassed. Untill and ambitios olympic swimmer age 23 went for a incredible 8 gold medals in a single olympic games. Micheal Phelps from Baltimore had his fair share of adrenaline rushes this summer at the 2008 Beiling olympic games. His amasing week took place in the water cube the new stadium for aquatics in the capital city of Beijing. To learn more of this historic swimming events let look at the two very different lives of theese two aquatic olympians. Mark Andrew Spitz or to his friends he is known as Mark the shark, which makes scence seeing that his claim to fame was the 1972 Munich, Germany Olympics. Spitz won an astonishing 7 gold medals. He’s now a 58-year-old retired man living in the U.S.A. Spitz’s best strokes are freestyle and butterfly. Spitz’s iconic mustache has raised many eyebrows over the years some were nonexistent shaved stubs on swimmers who shave all body hair. At the 1972 Summer Olympics in Munich (West Germany), Spitz was back to maintain his bid for the six gold medals. He did even more, winning seven Olympic gold medals. Further, Spitz set a new world record in each of the seven events. Originally Spitz was reluctant to swim the 100m freestyle fearing a less than gold medal finish. Minutes before the race he confessed on the pool deck to ABC’s Donna de Varona, “I know I say I don’t want to swim before every event but this time I’m serious. If I swim six and win six, I’ll be a hero. If I swim seven and win six, I’ll be a failure.” Spitz won by half a stroke in a world-record 51.22. Spitz is one of five Olympians to win nine or more career gold medals: Larissa Latynina, Paavo Nurmi and Carl Lewis also have nine; only swimmer Michael Phelps has won more with 14. Spitz’s record of seven gold medals in a single Olympics was not surpassed until 2008 by Michael Phelps at the 2008 Beijing Olympics. The Baltimore Bullett to his friends but as a comon houshold name he’s Micheal Phelps. Winning a knock your swim cap off astonishing 8 olympic gold in a single olympic games at the 2008 Beijing olympic games. He reighned the water cube for thoose few weeks setting a record that may never be surpassed again for 50 year s mabey longer. Phelps set an Olympic record in the preliminary heats of the men’s 400-meter individual medley. He followed that up in the final by winning the gold medal, as well as breaking his previous world record by nearly two seconds. Phelps swam the first leg of the men’s 4×100 m freestyle relay in a time of 47.51 seconds (an American record for the 100 m freestyle), and won his second gold medal of the 2008 Olympics, as well as setting his second world record of the Olympics (3:08.24). Teammate Jason Lezak, after beginning the anchor leg more than half a body length behind Alain Bernard, managed to finish ahead of the second-place French team by eight hundredths of a second. The top five teams in the final finished ahead of the world record of 3:12.23 set the day before by the American B team in a preliminary heat. For his third race, Phelps broke his previous World Record in the 200-meter freestyle by nearly a second and won his third gold medal. He also set his third world record at the Olympics, 1:42.96, winning by nearly two seconds over silver medalist Park Tae-hwan. In this race, Phelps became only the fifth Olympic athlete in modern history to win nine career gold medals, along with Mark Spitz, Larissa Latynina, Paavo Nurmi, and Carl Lewis. The next day, Phelps participated in two finals. In his first event, the 200-meter butterfly, Phelps made it four gold medals and world records in four events by swimming the final in 1:52.03, defeating silver medalist László Cseh by almost seven-tenths of a second despite his goggles filling up with water and being unable to “see anything for the last 100 meters.” This fourth gold medal was his tenth, and made him the all-time leader for most Olympic gold medals won by an individual in the modern Olympic era. Less than one hour after his gold medal victory in the 200-meter butterfly, Phelps swam the lead-off leg of the 4 x 200-meter freestyle relay. He won his fifth gold and set his fifth world record as the American team finished first with a time of 6:58.56. The Americans were the first team to break the seven-minute mark in the relay, and broke the previous record, set in Melbourne, Australia, by more than four and a half seconds. After taking a day off from finals (Phelps did swim in qualifying heats), Phelps won his sixth gold of the Beijing Games on August 15 by winning the 200-meter individual medley with a World Record time of 1:54.23, finishing ahead of Cseh by over two seconds. On August 16, Phelps won his seventh gold medal of the Games in the men’s 100-meter butterfly, setting an Olympic record for the event with a time of 50.58 seconds and edging out his nearest competitor, Serbian-American swimmer Milorad Čavić, by 1/100 of a second. Unlike all six of his previous events in the 2008 Games, Phelps did not set a new world record, leaving Ian Crocker’s world record time of 50.40 seconds, set in 2005, intact. Phelps’s 0.01-second finish ahead of Čavić prompted the Serbian delegation to file a protest; however, subsequent analysis of the video by the FINA panel, which required analyzing frames shot 1/10000 of a second apart, confirmed Phelps’s victory. The initial refusal by official timekeeper Omega, to release underwater photos of the finish also raised questions due to Phelps’s sponsorship relationship with Omega. Čavić later wrote in his blog: “People, this is the greatest moment of my life. If you ask me, it should be accepted and we should move on. I’ve accepted defeat, and there’s nothing wrong with losing to the greatest swimmer there has ever been”. Epic. It goes to show you that not only is this guy the greatest swimmer of all time and the greatest Olympian of all time, he’s maybe the greatest athlete of all time. He’s the greatest racer who ever walked the planet. Phelps’s seventh gold medal of the Games tied Mark Spitz’s record for gold medals won in a single Olympic Games, set in the 1972 Olympics. It was also his fifth individual gold medal in Beijing, tying the record for individual gold medals at a single Games originally set by Eric Heiden in the 1980 Winter Olympics and equaled by Vitaly Scherbo at the 1992 Summer Games. Said Phelps upon setting his seventh-straight Olympic record of the Games in as many events, “Dream as big as you can dream, and anything is possible… I am sort of in a dream world. Sometimes I have to pinch myself to make sure it is real.” On August 17, Phelps won his eighth gold medal in the men’s 4 × 100-meter medley relay, breaking Mark Spitz’s record of seven gold medals won in a single Olympic Games, which had stood since 1972. Phelps, along with teammates Brendan Hansen, Aaron Peirsol, and Jason Lezak, set a new world record in the event with a time of 3 minutes and 29.34 seconds, 0.7 seconds ahead of second-place Australia and 1.34 seconds faster than the previous record set by the United States at the 2004 Olympic Games in Athens. When Phelps dived in to swim the 100-meter butterfly leg, the third leg of the 400-meter medley, the United States had been trailing Australia and Japan. Phelps completed his split in 50.1 seconds, the fastest butterfly split ever for the event, giving teammate Jason Lezak a more than half-second lead for the final leg, which he would hold onto to clinch the event in world record time. Said Phelps, upon completing the event that awarded him his eighth gold medal and eighth Olympic record in as many events, “Records are always made to be broken no matter what they are… Anybody can do anything that they set their mind to.” In an article published in the wake of the event, The New York Times noted that, in the hours before his eighth and final event in the 2008 Games, had Michael Phelps been a country, “the Person’s Republic of Michael would have ranked fourth in gold medals [after China, the United States, and Germany] and been ahead of all but 14 countries in the medal count.” Only Soviet gymnast Larissa Latynina holds more total career Olympic medals with 18 (nine gold), compared to Phelps’s 16 (14 gold). Who’s the king of the water? SPitz with his mustache and wearing a swimsuit that any joe bloe can buy. Or baby faced Phelps with all the muscles of a champion. Who’s the better olympian, the world may never know, the history books can be changed for an aternity, just by a Spitz of a second. Existence is not a smooth and consistent process. Unlike the sweep second hand of an automatic watch, life happens in irregular and spasmodic action. This log examines and chronicles the nature of change and how we perceive it. Because we are human we seek meaning in observed change. Change apprehended and causality deduced are the scrim upon which our mind projects meaning. That being said, life is a collection of the mundane and inane. 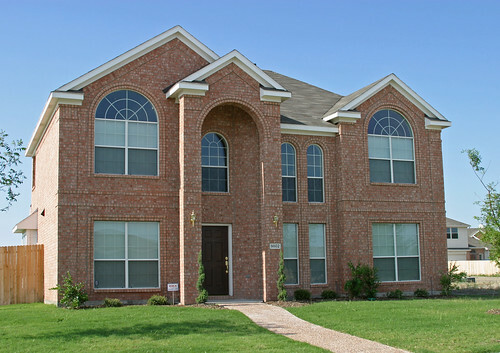 By observing change among people close to us, in our neighborhood and at work a framework emerges. A framework upon which associations, causality and meaning are arrayed and construed.